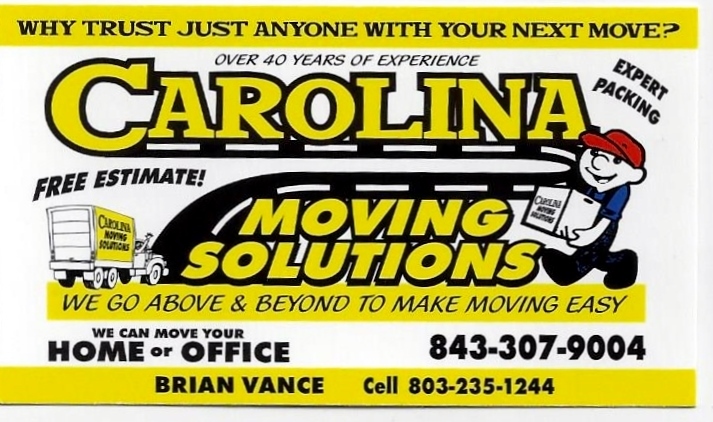 Carolina Moving Solutions owned by John Watkins and Brian Vance have combined 76 years of moving experience. The existence of the company is 6 years old and rapidly growing. We strive to make your moving experience one that cannot be topped. From the initial phone call to set up your in person estimate to the end of the delivery day, we are committed to assuring the best moving experience possible. The care our men put into not only handling your belongings but protecting your home as well stands far above our competition.